Well, October is gone, and I’ve done quite a bit of sewing since finishing this particular project, but somehow I never got back to posting details about the finished dirndl. In the few weeks since sewing the first and second dirndl muslin, I was sewing up a storm trying to get it completed in time for my office group Halloween costume on Oct. 30. (We were all Edna Mode from The Incredibles.) See?? A plain black dirndl is so versatile. The dirndl bodice interior is cotton duck: firm, heavy, and sturdy. It really helps the bodice keep its shape. 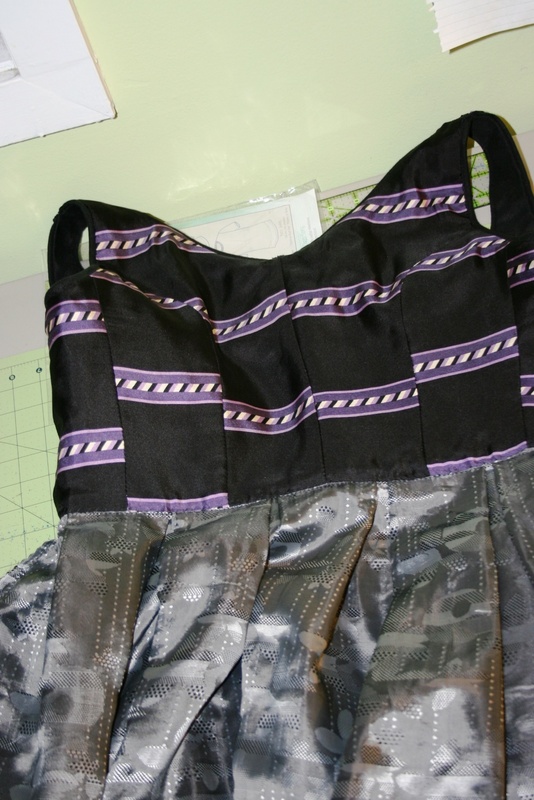 I chose a silk twill in black with a purple stripe for the bodice lining; unfortunately the fabric was too narrow to accommodate the skirt pieces, so I had to use a different fabric for the skirt lining. The pattern didn’t call for a skirt lining, but if I’m going to wear this in fall/winter, I’ll be wearing tights, and without a silky layer in between, the tights and linen would stick together. I chose a polyester-blend jacquard lining fabric in gray tones from my stash. One lining for the bodice (silk twill) and another for the skirt (some kind of poly/rayon jacquard). From the numerous dirndl images pinned to my Dirndl Pinterest board, I’ve found that one of the common details in simpler dirndls is piping at the neckline and armholes. It gives a nice finished-looking edge and adds a really crisp, professional-quality detail. Some of the black linen yardage, combined with some narrow cord from my stash, became piping for the dirndl. Piping at the neck and armscye edges stabilizes the edges and adds a nice dimensional detail. Unfortunately I didn’t really think out how the piping would affect the shoulder seam, and I had some trouble getting it all tucked under the lining in a neat, clean way; if I used piping again, I’d have to change the construction sequence a bit and apply the lining entirely by hand, wrong sides together. From the lining side, you can see all kinds of messiness caused by the addition of piping BEFORE sewing the shoulder seams. But from the right side, it looks okay…Not ideal, but passable. 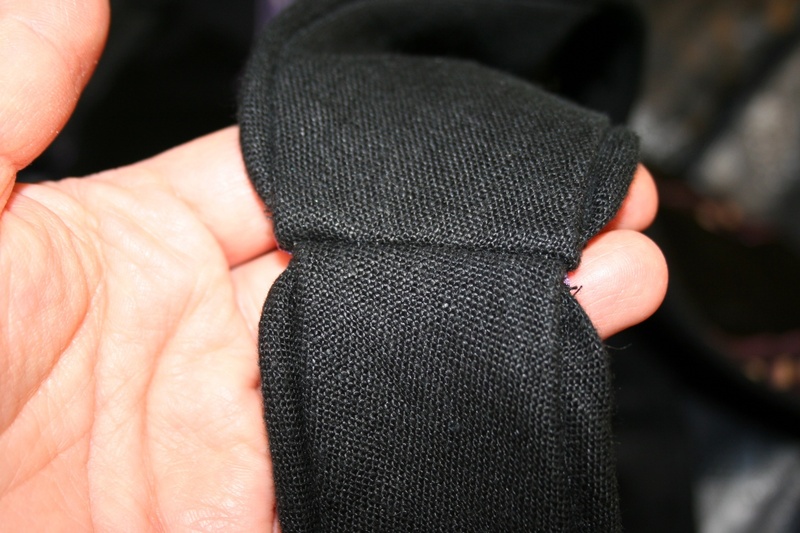 What should I discover once the skirt front and back were sewn together but that the two cuts of linen I purchased–from the same store, of the same type/weight, but purchased a few months apart–are two different shades of black. Of COURSE they are. Le sigh. 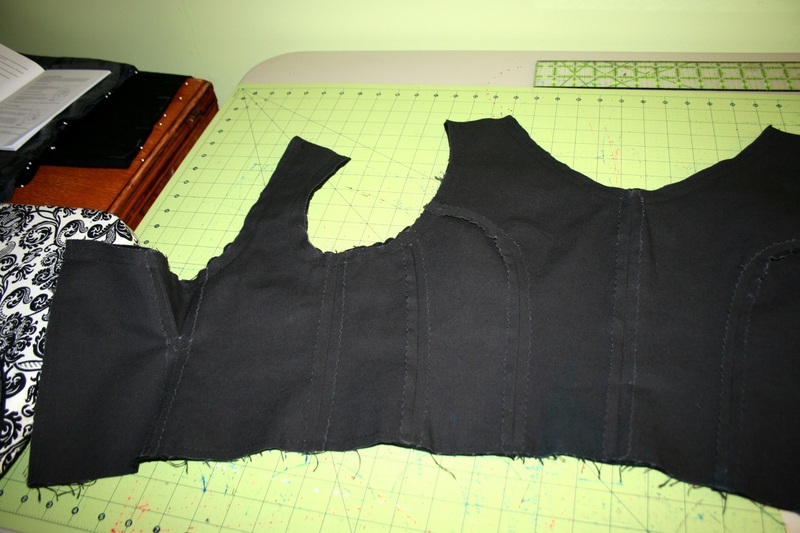 The front skirt section is a brown-black while the back skirt and bodice are a blue-black. Different dyelots. I should have expected this. Learn from my mistakes, people! It’s difficult to see the color difference in these photos–or any photos, really–but in real life, it’s obvious. If you’re looking for it. The bodice and back skirt are from one dyelot. The skirt front from a different one that’s a brown-black. Oh well. If I was going to wear this as a festive dirndl with an apron, the difference wouldn’t be a problem. I’m still considering it not that big a deal because the color difference was only obvious once the two different dyelots were sewn together and viewed in the weird light (tinged with lime green) of my sewing room. Fortunately, when I wore the dress to work (with other sewing people who really notice things like this), I was told that if I hadn’t mentioned the color variation, it wouldn’t have been noticed at all. But it is visible at the side seam. Oh well. Now, dirndl dress patterns don’t include pockets–but I really like a pocket in a full skirt. 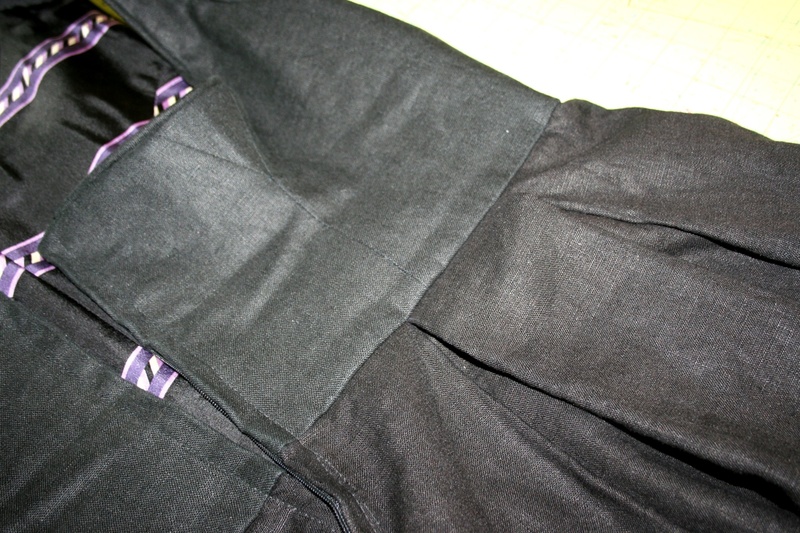 So I added some on-seam pockets, taken from the Sewaholic Cambie dress pattern (thanks, Cambie!). 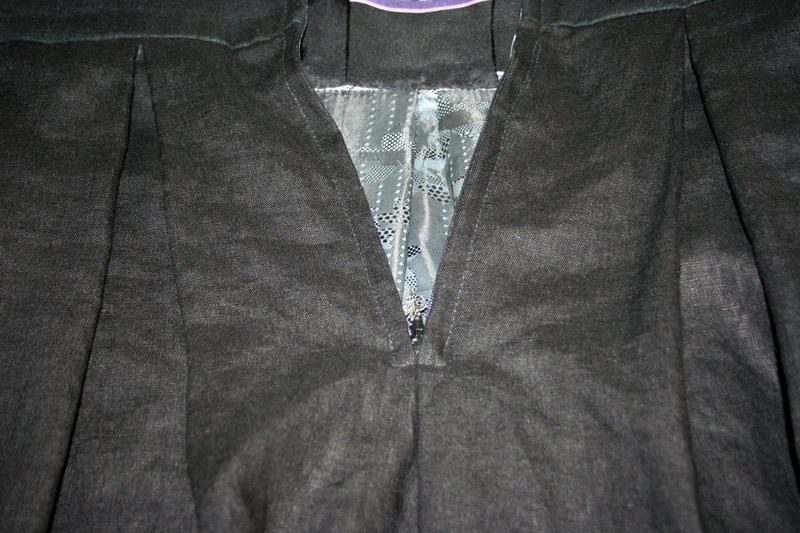 The pockets are inserted into the skirt side seams, and they live between the outer skirt and the lining. Oh how I love pockets in a skirt! The pattern calls for an invisible zipper, but I chose to use a regular zipper because they’re stronger, and the multiple, somewhat thick layers of the bodice would be too much for an invisible zipper. 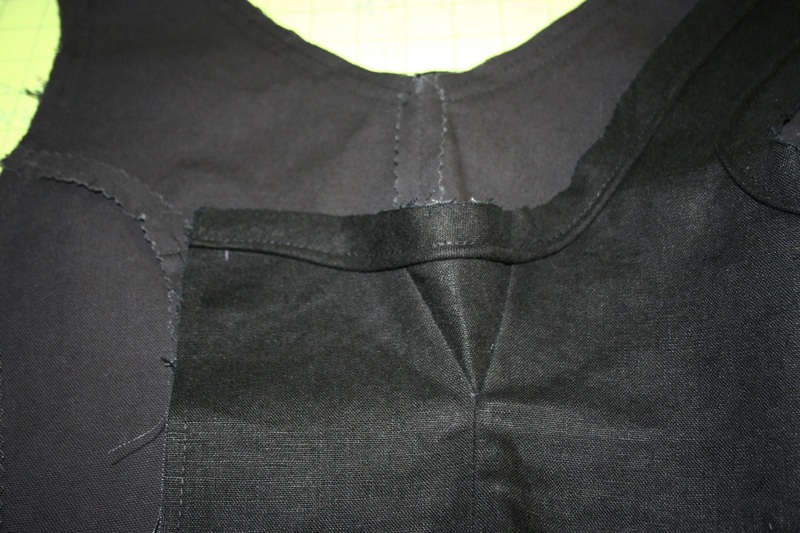 A centered application with little flanges covering the zipper looks fine and is the more usual closure used on RTW dirndls. This closure change necessitated a change in how the lining was applied at center front, but it wasn’t a big hassle. Zipper installation was a bit different from the pattern directions because I used a standard zipper instead of an invisible zipper. My installs of this type are usually a bit puckery, but it’s stronger than an invisible zip. I even dangled a pretty silver charm from the zipper pull. Overall, I’m really happy with how the dirndl turned out. 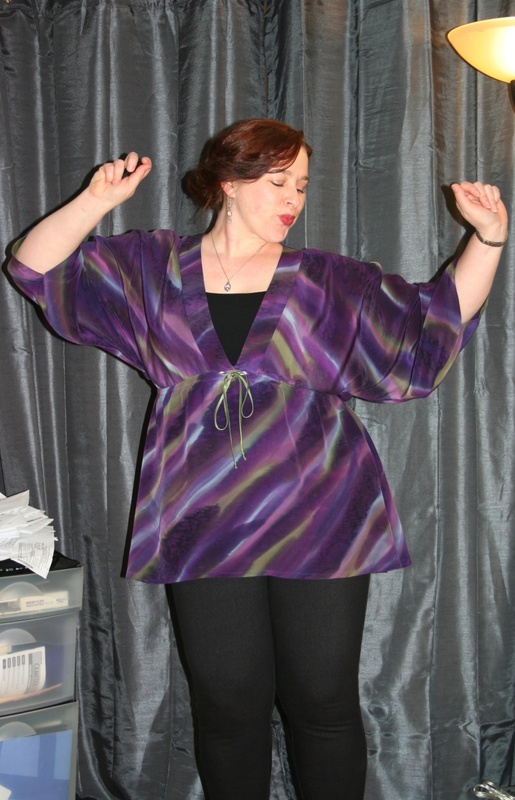 I still have to make some longer-sleeved blouses to go with it, but all in good time! I actually like this blouse with the dirndl, but it’s not good for winter. Here’s my review of BurdaStyle 7443 on PatternReview.